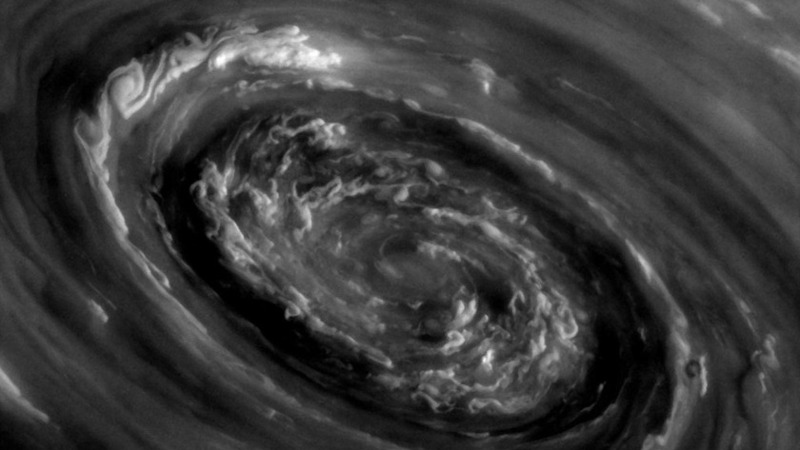 If you think the weather can get pretty rough where you live, think yourself lucky you're not caught up in Saturn's polar vortex. 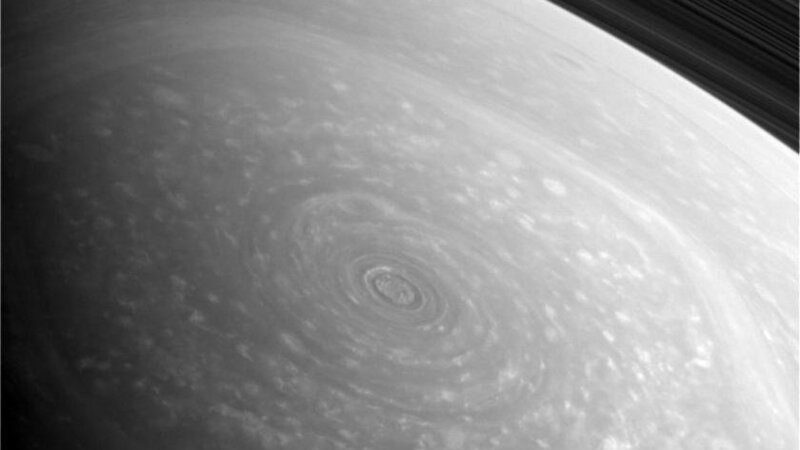 This image, captured yesterday by Cassini, shows in great detail the swirling mess at the giant planet's North pole. Snapped from a distance of 361,000km through an infrared filter, it looks incredibly menacing. Zoom out though and you realise that the vortex is small fry compared to the rest of the planet. In fact, it lies at the centre of Saturn's mysterious Northern hexagon: a weird, persisting cloud pattern that is shaped like a perfect, regular hexagon. From a distance, it looks rather serene. You can look through the raw images taken by Cassini over on the NASA website.